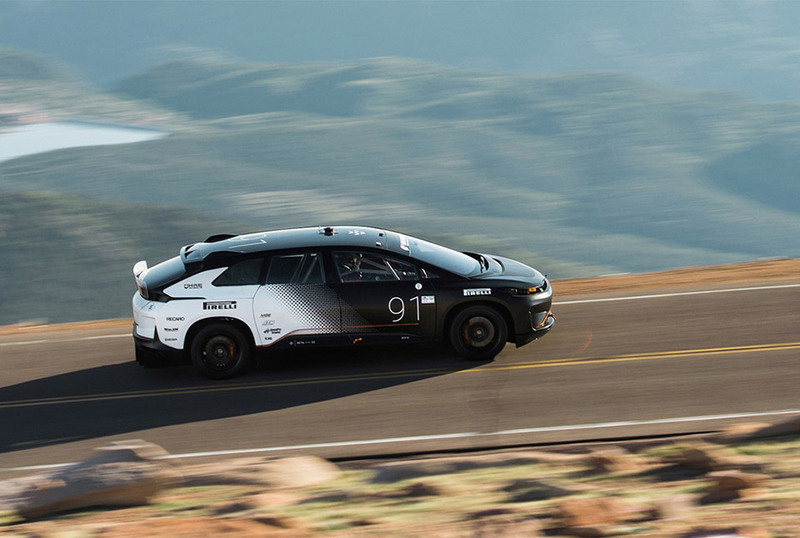 I mentioned last month that Faraday Future would be on hand at the Pikes Peak hill climb with its prototype FF91. The car would be racing up the mountain in the exhibition class. Well the hill climb has come and gone, and a video of the Faraday making its run up the hill has now surfaced. The video shows the drive from driver Robin Shute’s perspective and is very cool to watch. Cool as it is, it’s also very annoying because the car has an ’80s car alarm going off the entire time. 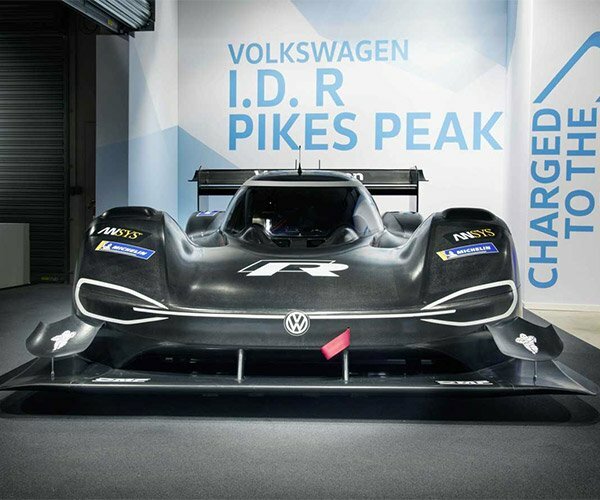 Apparently that was to warn spectators that the near silent EV was coming their way. The FF91 did have to stop near the finish line to be “cycled” and while we aren’t sure exactly what that entails, I presume it had to change to another battery pack to finish the lap. Regardless, the car broke the record time for a production EV, besting the Tesla Model S’ 2016 record setting run by about 20 seconds. Despite its class designation, the FF91 isn’t yet in production, and the car driven was a prototype. These speeds on the twisty road up the mountain are insane. In person, the road is much narrower than the video makes it appear.